"Today, our economy and society benefits from our extensive trade and investment relations with partners on our continent and many of our continental compatriots live in South Africa, where they are making important contributions to the development of our country," said Ramaphosa in a statement on Monday. "African development depends on the increased movement of people, goods and services between different countries for all of us to benefit. We will not allow criminals to set back these processes." Ramaphosa condemned violence against foreigners in South Africa and called on law enforcement agencies and law-abiding citizens to identify perpetrators and bring them to book. His comments come as international relations and co-operation minister Lindiwe Sisulu and police minister Bheki Cele meet with the African diplomatic community in South Africa to discuss the current spate of violence against foreigners and their properties. 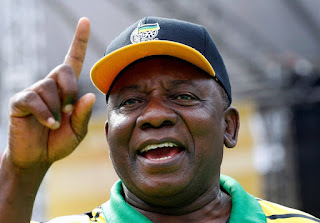 Ramaphosa said there can be no justification for criminality and that if communities are disaffected for any reason, their grievances must be raised with the government and within the confines of the law. Recent violence against Malawians and other foreigners in KwaZulu-Natal was particularly regrettable on the eve of Freedom Month, which in 2019 commemorates 25 years of freedom, he said. "As South Africans, we owe our freedom to the solidarity and support given to our liberation struggle by people across our continent and around the world."